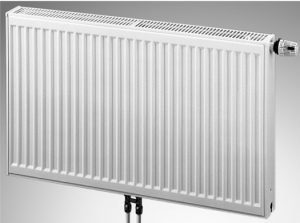 The best hydronic heating system is only as effective as its radiators. 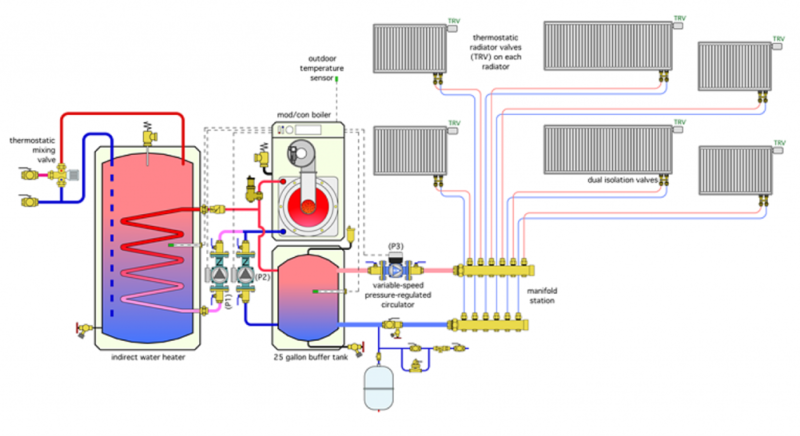 You can have a top-of-the-line NTI Tft boiler and a flawless system design but if it’s connected to creaky, old floor-standing radiators, the output and efficiency of the system will be wasted. However, the right radiator can take an exceptional system to the next level and, lucky for you, finding the right model is very, very easy now that Able carries DiaNorm Type 22 Panel Radiators. DiaNorm has been designing and manufacturing premium panel radiators in Germany–where radiant heat is the standard–for over forty years. We are thrilled to bring their precision engineering and remarkable design to the Chicagoland market. So, what does a DiaNorm radiator bring to the table? The two things that jump out immediately are their compact size and the ease of piping. 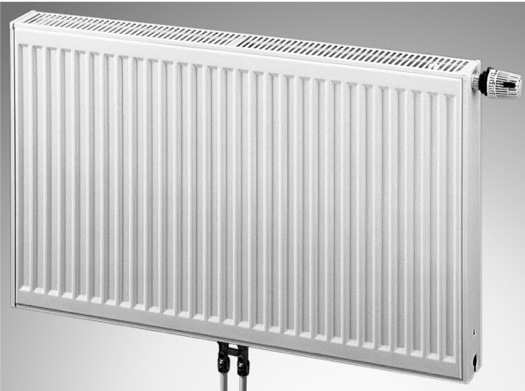 Type 22 panel radiators are 3-3/4″ and require a 1″ gap between the radiator and the wall. That means that one of these radiators is less than 5″ thick–installed. Speaking of installation, the Type 22 product line can be piped entirely without copper. That’s right, you can use Pex or Pex-Al-Pex instead of copper piping if that’s what your application requires. Of course, the Type 22 also works flawlessly with copper piping, giving you plenty of options. Additionally, Type 22 panels are constructed of premium steel and coated with an epoxy powder finish. These materials are used for their durability and heat transfer qualities, resulting in a reliable, efficient heat source. Since the panels are so thin, you might be thinking that you’ll need to run them around the whole home to keep everything comfortable. However, DiaNorm packs a lot a power into a tiny package. Below are the output capacities of the five models stocked at Able with a supply temperature of 190° F, a return temperature of 170° F, and a 68° F room temperature. Compared to baseboard heat, you can achieve the same comfort with a lower water temperature and it will take up 75% less space! DiaNorm Type 22 Panel Radiators are available now at Able Distributors! Check out the resources below then give us a call to place your order today!